Hello! It's challenge time over at Lil Patch of Crafty Friends! As always, it's Anything Goes and we have amazing sponsors! Conie Fong Art and Design, and Michele R Designs. 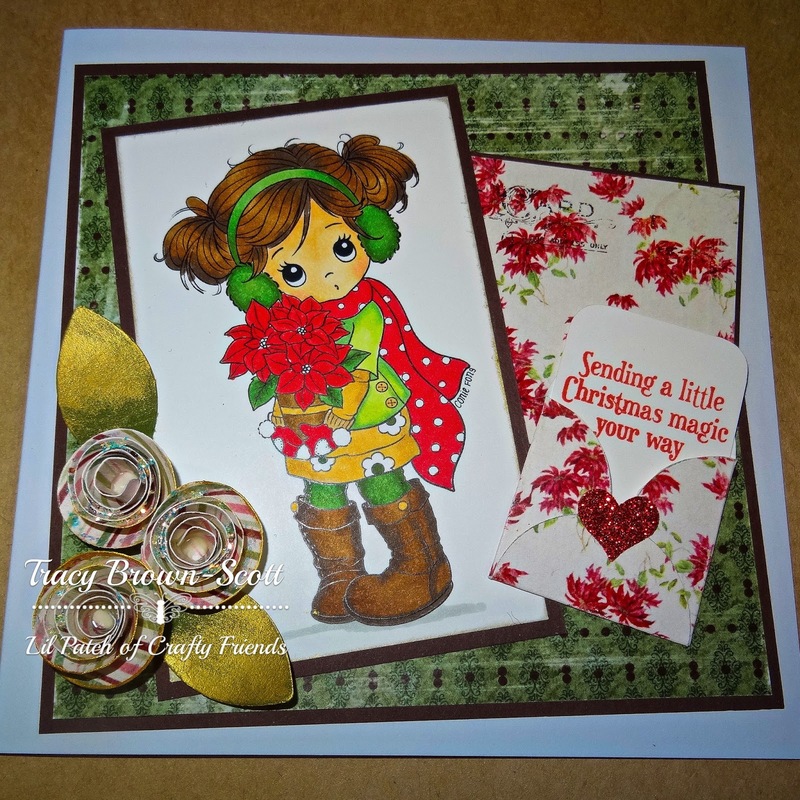 This image is called Holly Poinsettia and she was such fun to colour! Love you card Tracy. Such a cute image and I do love the sentiment coming out of the envelope, as well as the circle-y flowers!! Super!